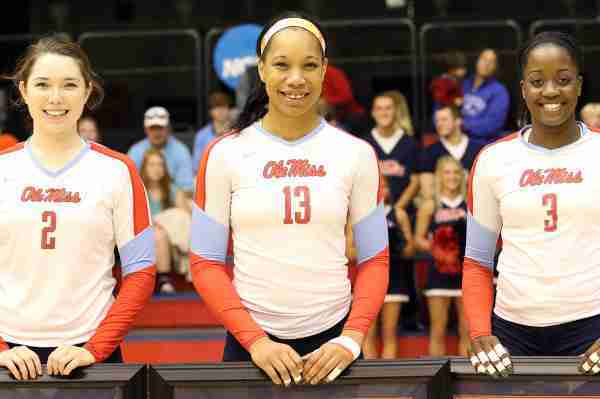 After losing a nail biter in the third set, 26-24, Ole Miss was hoping to use its momentum to tie the match in the fourth set, but a hot-hitting Missouri had different plans. The Tigers simply dominated the fourth set on both ends and were able to notch the 25-12 win to finish off the Rebels and take the 3-1 victory on the Rebels’ senior day. Missouri has swept Ole Miss (21-10, 7-9) on the season and leads the all-time series, 10-5. Carly Kan had a game-high 20 kills for the Tigers (25-4, 13-3), while Kira Larson had 12 and Regan Peltier added 10. As a team, the Tigers hit .153 on 176 attacks. Ole Miss is now on a two-game losing streak, but head coach Steven McRoberts hopes his team will still play with fire and passion with five days remaining in the regular season. “I talked to them about changing the culture and not wanting to be a middle-of-the-pack SEC team, and there are a lot of things that have to happen,” McRoberts. “And a lot of things need to change to make that happen,” he added. 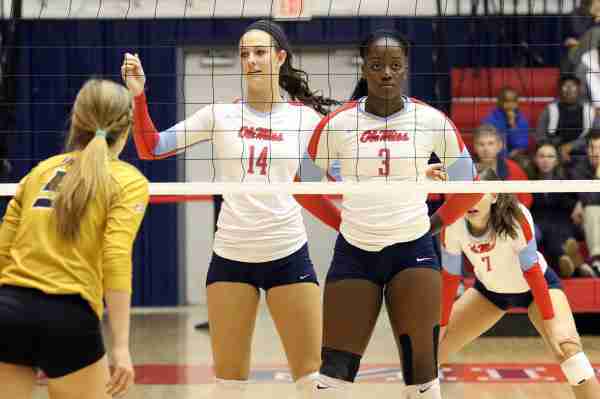 After a 3-2 loss at Auburn, the Rebels still wanted to finished the season on a strong note when they hosted Missouri Sunday afternoon, and in the first set, Ole Miss dominated from the start and never trailed, finishing off the Tigers 25-18. But in the second set, the tables turned. The Tigers jumped out to an 8-2 lead before the Rebels rallied late, getting within 19-17 after an attack error by Peltier. Ole Miss scored once more, off a kill by senior middle blocker Nakeyta Clair, but it wasn’t enough as Missouri ended the second set on a 4-1 run for the 25-20 win, tying the match at 1-1. Kan and Larson led the Tigers on both ends with aggressive net play and solid defense. 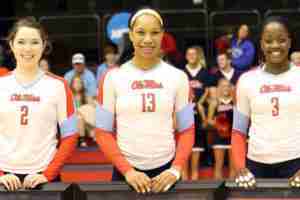 Senior Ty Laporte led Ole Miss with 11 kills. Clair and Kate Gibson each had eight; Lexi Thompson added six. As a team, the Rebels hit .061 and had 80 digs. Though Coach McRoberts was hoping to see his seniors get a final win at home, the Rebels will now look to finish strong at Alabama and Mississippi State. The Rebels will face Alabama Wednesday at 7:30 p.m., and then travel to Starkville for the volleyball edition of the Egg Bowl Friday at 2 p.m.